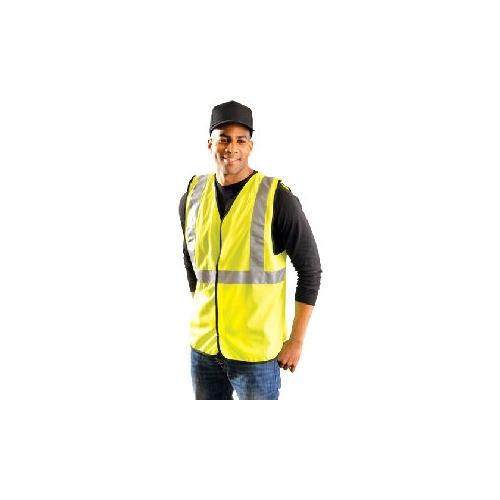 Economy - Single Band Vest Class 2 features Bright, lightweight polyester material. 2" 3M™ Scotchlite reflective tape - One 360* horizontal stripe plus two vertical shoulder stripes. Hook and loop closure.